Summary (from Goodreads): From the author of HOW TO SAY GOODBYE IN ROBOT, the story of a fractured family and three sisters' secrets. 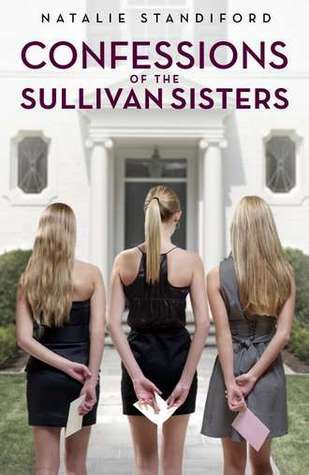 My Summary: The Sullivan family is anything but normal, and they know it. Their grandmother, Almighty, is a rich socialite that demands respect from her grandchildren. But her granddaughters seem to have gone astray, and Christmas morning Almighty announces that unless one of her grandchildren - whom she claims offended her deeply - writes a written apology & confession and delivers it to her by New Years Day, she will cut the entire family out of the will and they will be left penniless. My Thoughts: This book was, in a word, adorable. I've been wanting to read it for ages and I'm so glad I finally got around to it! Norrie, Jane, and Sassy were great characters - although I have to admit, my favourite was definitely Norrie. It was a light, quick read, and I loved every minute of it. Final Thoughts: I definitely recommend this to anyone who enjoys light contemporary literature, romance, and a little humour. It would make a great beach read! Ooh, I've seen this around a bit, but I just realized I never added it to my TBR list on Goodreads. After reading your review of it I will definitely be checking it out and I added it to my list!